This year's rich New Year's Eve program will close out the year in true New Year's fashion with famous stars that will hold concerts you can enjoy with your closest ones on the most stunning stage in the Old City – the main street of Stradun. The first day of the New Year's program is December 30th when the Croatian rock group Opća Opasnost will hold a concert in front of the Church of St. Blaise at 9 pm. On the 31st of December, the traditional Children’s New Year's Eve party will be held beginning at 10:30 am and will feature a performance by the popular young singer Mia Negovetić & Super Cover Band. On December 31st, leading Croatian performers Nina Badrić and Toni Cetinski will bring in the New Year for Dubrovnik and its guests. 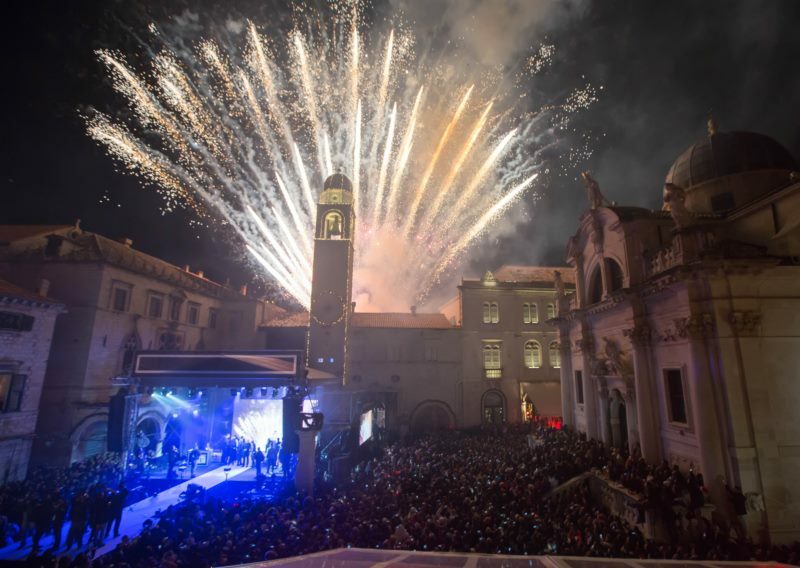 Top musicians on the world's most beautiful stage and impressive fireworks right at midnight will provide an unforgettable start to the New Year on the main street of Stradun. On the first day of the New Year, enjoy the abundance of oysters and sparkling wine accompanied with the sounds of the most famous opera arias of the Dubrovnik Symphony Orchestra at noon on Stradun, and on the first evening of 2019, once again on Stradun, enjoy the songs of one of the most popular Croatian multipart singing groups – Klapa Rišpet.